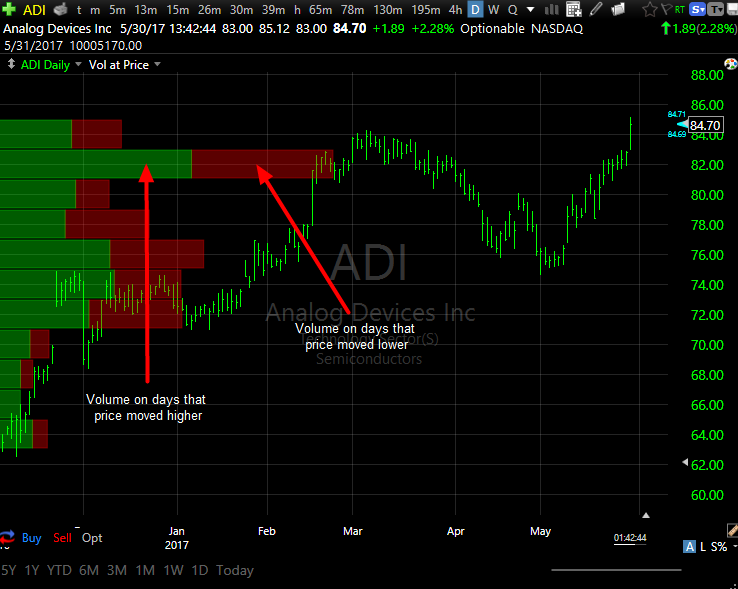 The horizontal bars represent the volume a stock traded at each price level for the time period displayed on the chart. In addition, the bars are colored to show you how much volume was positive (green) and how much was negative (red). 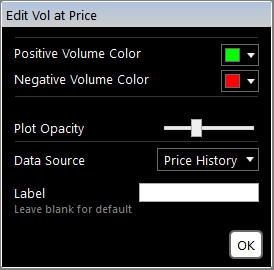 You can edit the positive and negative volume colors as well as the opacity of the Volume at Price indicator. The number of bars depends on the scaling of the chart and will adjust accordingly as you zoom in and out or change the scaling. You can adjust the opacity of the bars to make them stand out more, or less, depending on your preference.